The restaurant was closed by Health Department officials on 25 November, pending further investigation. To narrow-down the cause of the illnesses, various victims’ stool samples have been sent to laboratories of the State Department of Health. However, three weeks on, investigators are still awaiting results. Until they come through, a specific source can’t be properly identified. Uncertainty lingers mainly because outbreaks of food poisoning can spring from a myriad of different sources, from turkey to peanut butter. Dangerous pathogens like salmonella and listeria can enter the food supply through general uncleanliness, which can make it easier for these bacteria to spread, such as through contaminated water. They have historically been found in ice cream, milk powder, salad leaves and chili peppers, to name but a few. The main hazard is cross-contamination; which can generally be avoided through the deployment of adequate safety and cleanliness measures, such as the colour-coding of equipment. Nonetheless, the undercooking of meats can also cause illness from such sources; with poultry being particularly hazardous in these terms. At Thanksgiving, the Golden Ponds restaurant served between 800 and 1,100 people, with over 260 reporting illness; meaning up to one-third of diners could have been affected. 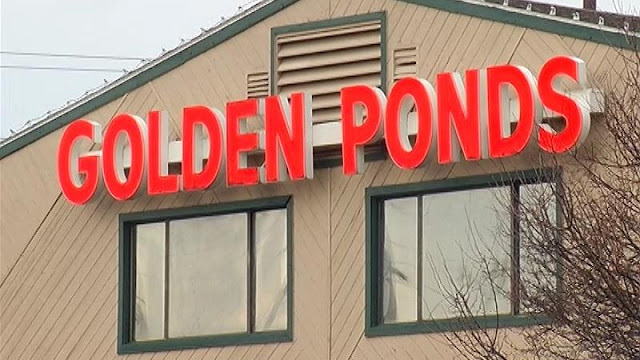 According to Food Safety News, ‘The Golden Ponds had 18 non-critical violations during a Nov. 1 inspection.’ With investigations ongoing, however, and media outlets growing increasingly interested in the story, the outcome will most likely be damaging to the business, which generally sees good reviews on Trip Advisor.